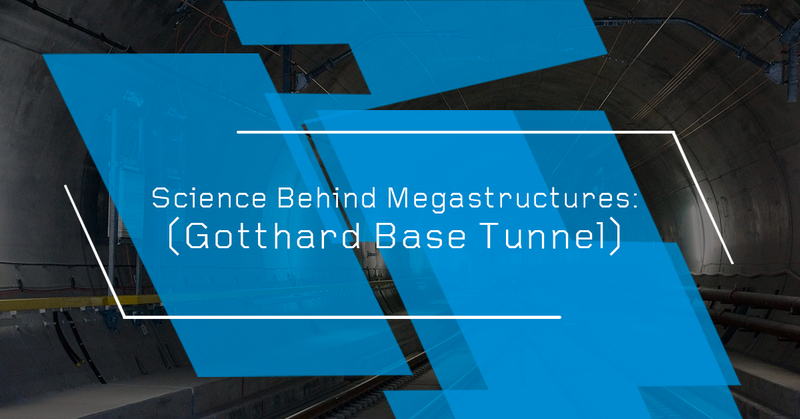 The Gotthard Base Tunnel is one of the most extremely engineered megastructures in World History and was a big challenge for the geotechnical consultants. With a length of 57.09 kilometres (35.47 miles) and a total of 151.84 km (94.3 mi) of passages, it is one of the longest tunnels in the world connecting Erstfeld (Uri) with Bodio (Ticino) and passing below Sedrun (Graubünden) in Switzerland. Building a tunnel this long, under the Alps Mountains is a significant achievement by SBB CFF FFS. Not only this, with a maximum depth of 2,450 metres (8,040 ft.), it’s the world’s deepest tunnel. 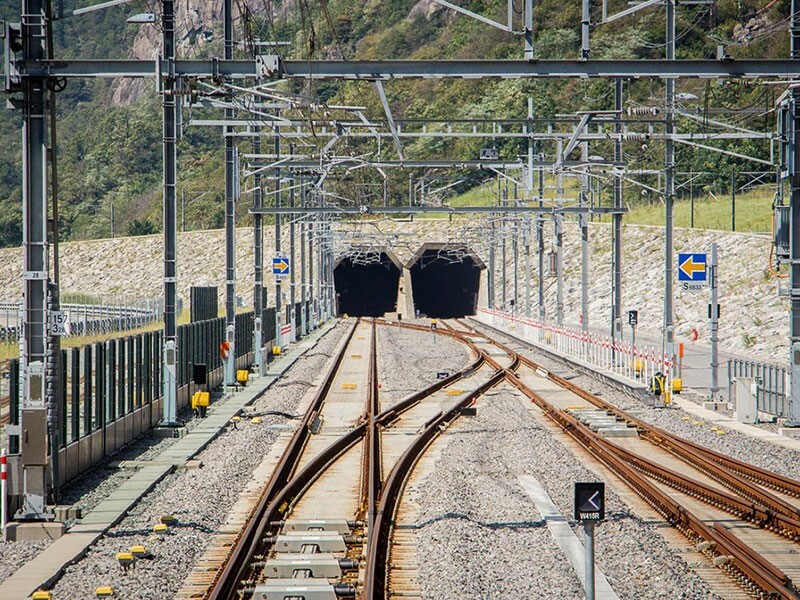 The Gotthard Base Tunnel is a division of the New Railway Link through the Alps (NRLA) project, which also includes the Ceneri Base Tunnel (CBT) further south (scheduled to open late 2020) and the Lötschberg Base Tunnel (LBT) on the other main north-south axis. 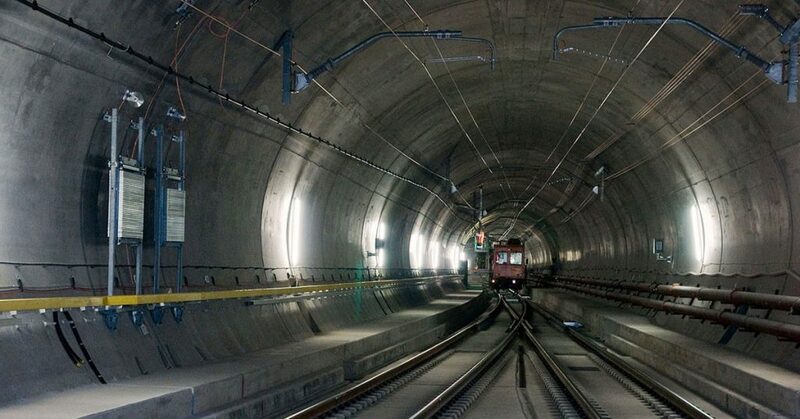 The tunnel is referred to as a “base tunnel” because it bypasses most of the existing Gotthard railway line, opened in 1882 across the Saint-Gotthard Massif, which was operating at its capacity before the opening of the GBT. The new Gotthard Base Tunnel gives a direct route to high-speed passenger trains as well as freight trains. It’s indeed a megastructure that left people awestruck globally. Engineered with Swiss precision and technology, the Gotthard Tunnel is one of its kinds until now. 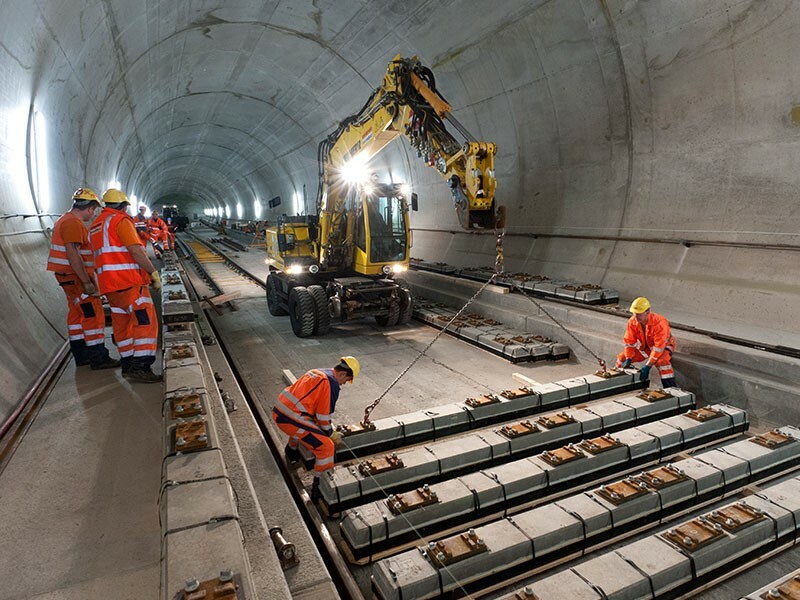 It took powerful drilling machines, precise monitoring solutions, reliable instrumentations, experienced manpower, and efficient Tunnel Boring Machines to build the Gotthard Base Tunnel. The project costs around $12.5 Billion and took approximately 17 years to complete. Being the prominent trade location in Europe, Switzerland is the busiest route for freight movement. Every year, around 14 million trucks and cars travel through Switzerland to anywhere else either for trade or tourism purposes, causing an immense traffic jam on the way. According to the Alpine Protection Act of February 1994, the maximum possible tonnage was asked to move to railways from roadways. The ultimate goal of the law was to relieve the overuse of roads and, solve traffic issues. Gotthard Base Tunnel has a larger capacity, faster services, and greater reliability when it comes to the freight movement. The tunnel couldn’t have been possible without the efficient drilling machines, each almost three stories high, and longer than four football grounds, drilling 24/7, for 6 years. To build the tunnel, excavators had to dig out 24 million tons of rock from the mountains, which is more than enough to fill up to 16 football stadiums. AlpTransit Gotthard AG was responsible for the construction of the Gotthard Base Tunnel and, it is a subsidiary of the Swiss Federal Railways (SBB CFF FFS). The cheapest tunnel design could have been the one having two single tracks for movement in either direction but, then, it wouldn’t have provided any emergency evacuation which is unsafe. Alternatively, three tube systems, somewhat similar to the English Channel could have been used where one of the two tubes would be for each direction while the smaller one for evacuation during emergencies. This small tunnel could have been then connected to the main ones through lateral tunnels. The cheapest option was unsafe while the safest option was too costly. Hence, an intermediate design was made that had two separate tubes, one for each direction and connected through passageway every 325 metre (1066 ft.). These passageways are the emergency exits. There are two crossover points at Sedrun and Faido along with tracks trains to switch tunnels. In case of emergencies, the computers in the command centre divert the trains to the nearest emergency evacuation so that the passengers can exit safely. Apart from this, massive ventilators have been installed to pull in fresh air while throwing out the smoke. To lessen the construction time up to half, tunnelling was done from each direction while four access tunnels were built to start construction from four different places simultaneously. The four sites were: Erstfeld, Amsteg, Sedrun, and Faido. The fifth site was also added at a later stage at Bodio. This approach sped up the construction by 6-10 years. Not only this, all the sites had its own base camp, concrete factories, water treatment centre, living quarters for workers, cafeteria and a mass transit system. 24 million tons of rock was excavated while drilling the tunnel which was then sent to the concrete factory at base camps to produce 7.5 million tons of concrete for tunnel lining. A total of 1800 workers were employed to the construction work. To navigate through the mountains’ interior, elevators, trains and buses were used. The drilling, digging and blasting was continuously done 24/7 for 12 long years using extensive tunnel boring machines of 35ft. in diameter. Four Herrenknecht Gripper TBMs, each over 1,400 feet long, were used in the construction of the tunnel. 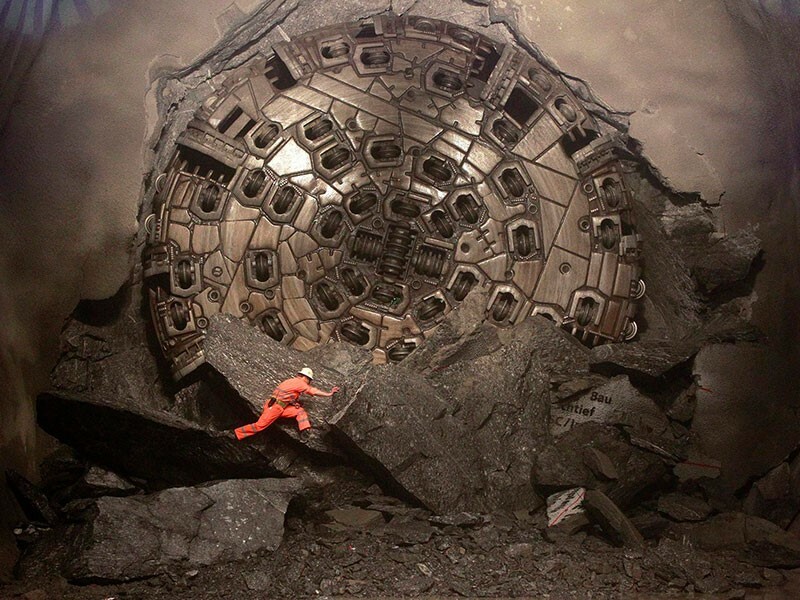 Each TBM was composed of 90,000 parts and cost around $21 million. The machines were locked at their place with gripper pads that pressed against the tunnel walls. The hydraulic arms pushed the 9.5 meters long cutter head forward. As the cutter head moved forward, it ground the rocks which were pushed outside through a conveyer belt. These rocks were then converted to concrete at base camp concrete factories to be re-used in the inner-lining of the tunnel. Just behind the cutting wheel, there’s a set of robotic arms to ensure that loose rock does not fall. The TBMs could dig only hard rocks while the soft ones were either drilled through or blasted off. The maximum speed of the trains travelling through the Gotthard Base Tunnel is 249km/hr. but, for safety measures, passenger trains travel at a speed of 200 km/h. A passenger train can complete the journey from Erstfeld (Uri) to Bodio (Ticino) in only 20 minutes. The freight trains now travel at a minimum speed of 100 km/h, almost double the earlier speed. For the time being, four freight trains and up to two passenger trains are running per hour in each direction every day through the Tunnel which will increase to six freight trains once, Ceneri Base Tunnel is opened. Besides all this, the tunnel has 10000 Lights and 2500 Electrical cabinets that draw electricity from hydropower plants in Amsteg in the canton of Uri and Ritom in the canton of Ticino via low-loss transmission lines. All the long-distance trains passing through the tunnel are fitted with signal boosters while all the major Swiss network providers are available inside. 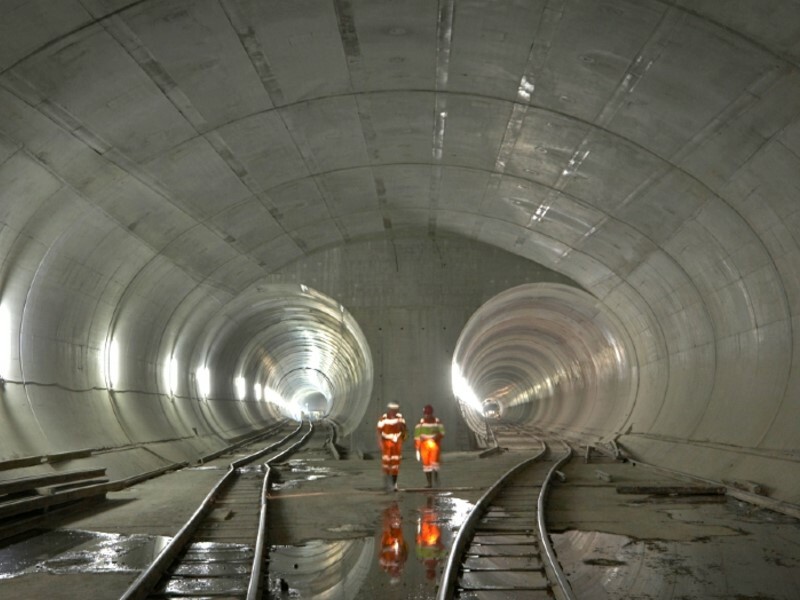 Though the Gotthard Base Tunnel is constructed to last over 100 years, the largest and highly complex tunnel system in the world requires regular maintenance. Currently, Saturday and Sunday nights (closed for eight hours) and Monday nights (closed for six hours) are scheduled for maintenance. 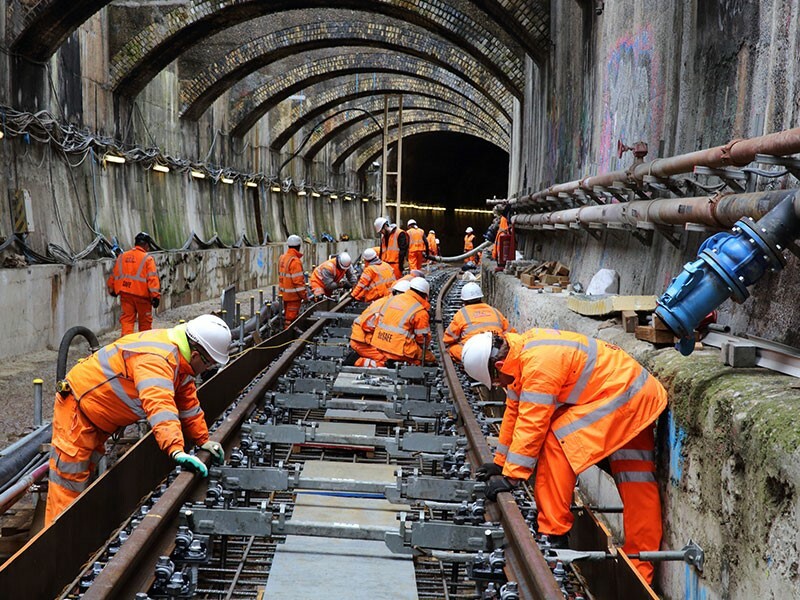 Maintenance work like cleaning work on drainage systems (the tunnel has 500 Kilometres of drainpipes), electro-mechanical installations (tunnel ventilation, cross-passage doors etc.) and railway infrastructure (track, contact lines, safety systems etc.). Wayside train monitoring systems are fixed close to the track that transmits a range of measurement data to an analysis system to check irregularities in passing trains. If any irregularities are encountered, the information is sent to rail service staff and to the wayside train monitoring system intervention centre in Erstfeld. According to the priority and nature of the irregularity, certain measures are adopted. There are two emergency stop stations for emergency evacuations. Rolling stock is fitted with emergency features that enable trains to reach emergency stop stations even after a fire has broken out in the train. If the train stops outside the emergency stop station, positive pressure can be applied to the adjacent tunnel tube. Apart from this, there are cross-passages into the adjacent tube every 325 metres, which allows for fast access into a safe area. There are two ventilation units in Sedrun and Faido as well as 24 jet fans at the tunnel entrances to supply fresh air and extract smoke in case of an accident. There is also an open water conduit system in each tunnel tube which is fed with 5 litres of water per second (continuous supply) so that contamination and hazardous substances can be transported to the retention basins in front of the tunnel entrance. Next post: Piezometers: Types, Functions, & How it works?